Your Dentist in Ft. Collins Says Healthy Gums, Healthy Heart! 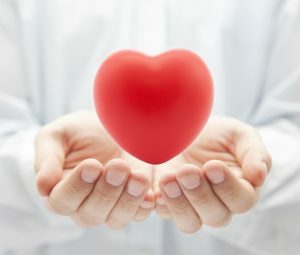 Did you know that over 85 million Americans are living with some form of heart disease? Sadly, it’s the leading cause of death, causing a staggering 1 out of every 4 deaths in the U.S. But even if you’re familiar with these statistics, you may be surprised to learn that the condition of your teeth and gums can actually contribute to the health of your heart. In this blog, your dentist in Ft. Collins will take a look at the symptoms of gum disease, how your heart and gums are linked, and what you can do improve your gum health at home. After all, if there are things you can do to keep your mouth healthy that can also add years to your life, that’s a win-win situation! Bleeding after brushing or flossing. Chronic bad breath that doesn’t go away with brushing and flossing. Although it’s helpful to know what to look for at home, the only way to truly diagnose gum disease is by scheduling a consultation with your dentist. They’ll be able to perform a gentle gum examination to determine how healthy your gums are. If it turns out that you have periodontal disease, they’ll discuss your treatment options and will also educate you about how to keep your teeth and gums clean and healthy at home. How Are the Gums Linked To the Heart? If you’re interested in heart health in Ft. Collins, you’ll be glad to learn about the research that’s been done about the link between the heart and oral health. While the link isn’t fully understood, researchers have theories about how unhealthy gums can lead to an unhealthy heart. One of these theories is that bacteria under the gumline (in the form of plaque and tartar) can easily enter the bloodstream and travel from head to toe, including through the heart. These bacteria may cause inflammation and plaque to form inside the arteries, causing them to harden or narrow in size. In fact, one study done in 2013 from the Journal of the American Heart Association found an increased risk for heart disease from inflammation in the mouth caused by unhealthy gums. What Can You Do To Keep Your Gums Healthy? If you have gum disease in Ft. Collins, it’s especially important to see your dentist for regular checkups and cleanings. These visits allow your dentist to closely monitor your gums and remove plaque and tartar from the hard-to-reach areas in your mouth. You’ll also learn hygiene tips and techniques tailored just for you. Since gum disease can make it extra difficult to keep things clean at home, using the right tools is especially important. An electric toothbrush will do a much better job removing plaque and bacteria than a regular brush. In addition, an oral irrigation device can make a big difference by flushing plaque out from deep under the gumline where it’s hard to access. Dr. Shiloh D. Lindsey is an award-winning dentist who makes professional excellence a priority. In addition to providing gentle and highly skilled care, she takes the time to educate her patients about how taking great care of their teeth and gums can help them lead longer, healthier lives. She can be reached for questions via her website or at (970) 482-3166. Comments Off on Your Dentist in Ft. Collins Says Healthy Gums, Healthy Heart!